Shoes-World is a wholesale retailer offering a wide range of goods for your business at a wholesale price. The shoes available in the Shoes-World online store are sold at extremely low prices, starting from only EUR 4.04 a pair for women’s shoes. Our products are of a high quality, with a wide variety of goods ranging from high-heeled shoes to ballerina shoes, flats, boots, sandals and many others. If you are planning to refresh your online store or expand your e-business, and are looking for a reliable partner, we may be the perfect choice. Shoes-World always offers competitive prices and a wide range of goods, so you can always find what you are looking for. 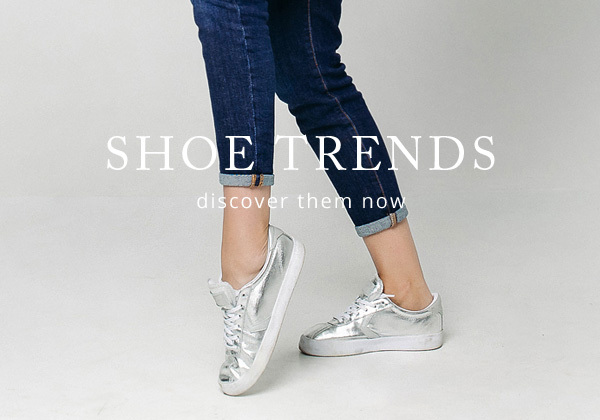 The Shoes-World online store is not limited to sales of women’s shoes; you can also find a huge assortment of men’s shoes, women’s clothing and handbags. We also offer a variety of products from well-known brands that will certainly attract potential buyers and assist in expanding your customer base. If you are trading in women’s, men’s or kids footwear, or handbags and women’s clothing, our online store may offer a fairly large assortment of goods that will supplement the range of your products. Registration on the Shoes-World website will allow you to check the prices of items, with the value added tax excluded, and enable you to promptly submit your order. The minimum basket value should be EUR 100; nevertheless, you can be sure that the products we offer are sold at the most favourable prices. All of the goods are delivered by a courier service, ensuring that it will not take much time for you to receive your order. Usually, the delivery does not exceed a few business days, and we are always seeking the best way for our goods to reach our clients as soon as possible. Shopping online is always practical: you can refresh your choices any time and can receive your order at the place which is the most convenient for you. The Shoes-World online store offers a wide variety of goods that will suit everybody’s needs, irrespective of whether you are planning to start a business or have already commenced active trading in footwear, haberdashery products and clothing. It will take just a couple of moments to submit your order. 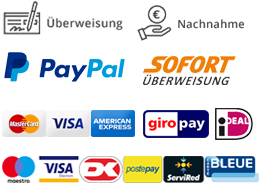 Right after we receive your payment, the order will be collected and made ready for delivery by a courier service. 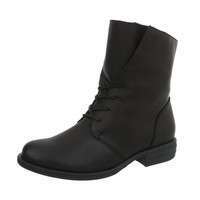 Shoes-World is also the perfect site for personal shopping. The only requirement is the minimum basket value, which should be at least EUR 100. It is not necessary to buy a large quantity of the same garments, handbags or shoes. You can simply select the size you need and buy a single unit of a model. We offer goods for the whole family, so the Shoes-World online store is the perfect choice for low-priced shopping. Purchasing wholesale women’s shoes and other goods will allow you to do your shopping at lower than usual prices, and this may also become a good reason for selecting Shoes-World as one of your favourite online stores with an assortment that is updated as often as possible and includes the most popular products. Placing an order is instant and can be made at any time that is convenient. Upon the receipt of your payment for the goods, the order is transferred for processing and shortly afterwards courier will deliver the goods to you. Goods for Lithuania are delivered from Germany, but you may nevertheless be sure that the delivery will not take longer than a few days. Just select the category of your interest to select the most suitable products and feel free to place an order. Shoes-World cares about every aspect that will allow our clients to find the things they want, so we continuously analyse market demands with the aim of responding to everyone’s needs. You are the person who is the best aware of the most popular models and manufacturers of the shoes you sell. Therefore, you can easily make your shopping fast and convenient and refresh your product assortment. The range of the shoes that Shoes-World offers will enable you to select the most fashionable and popular models to ensure your business success. You can even browse our goods without registering to decide whether our online store meets your expectations. No doubt, you would like to make sure that the Shoes-World range of goods is extensive, while our competitive prices, sales and discounts will encourage you to visit our website more often. The Shoes-World online store is not limited to sales of women’s shoes – we offer men’s shoes, women’s handbags and clothing as well. As you might guess from our name, Shoes-World offers a wide choice of footwear; nevertheless, we also offer various types of clothing (jeans, sweaters, coats, blouses, etc.) and handbags, so you will be sure to find the goods that best suit your needs and explore what could be chosen to refresh the assortment in your shop. The women’s shoes and other goods Shoes-World offers are of the highest quality, with the majority of them made in EU countries, so rest assured that you will not end up being disappointed with the quality of our products. Buying wholesale shoes, handbags and clothes allows you to find the best prices. The difference between Shoes-World and other wholesaler retailers is that we offer our customers the possibility to buy individual items instead of buying large quantities of goods. In some cases, when goods are bought from a wholesaler, it includes a requirement to order large parcels of the same model. However, the Shoes-World online store offers a variety of designs that can be selected according to a specific client’s demands, i.e. buying a single unit per model. This is more convenient when shopping for personal needs, or just determining the necessary assortment of goods that you would like, as well as supplementing your product range. There is no need to spend a lot of money. The minimum value of your order is only EUR 100, so you are always free to supplement your range of goods with only a specific model. The ordering process is fast and convenient. The online store features specific categories (women’s shoes, men’s shoes, handbags, women’s clothes, etc.) that will assist you in fast decision-making. In addition, you can sort the goods by the most popular or the cheapest, making your shopping take place even faster. Then just put the selected goods into your e-basket and submit the order. Right after we receive your payment, the order will be collected and made ready for delivery to the indicated address. Our goods are delivered by a courier service to ensure that it will not take much time for your order to arrive. Usually it takes up to few business days and the delivery price is always good. When the goods reach Lithuania, you will be contacted by the courier service to agree on the most convenient time for the delivery. All of the goods are shipped from Germany, and the deliveries generally take less than a week. You can see that shopping at the Shoes-World online store is simple and convenient. You can find an exciting variety of goods and choose the most suitable items for your shop. In addition, the Shoes-World extensive assortment of goods offers you a wide range of choices that will respond to your needs, and you can make orders instantly with a few clicks.